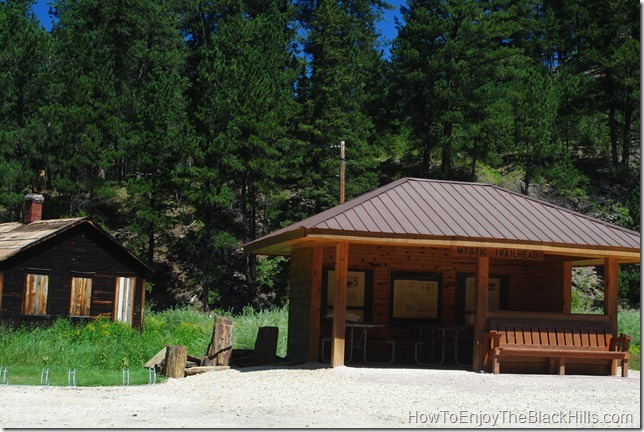 The Mystic Trailhead of the Mickelson Trail is located 12 miles north of Hill City on Mystic Road (Forest Service Road 231). This is the former location of a mining town that was called Sitting Bull and renamed Mystic when the railroad came through. It was a busy town for many years, the decline came when the saw mill closed in 1952. Some of the historic buildings remain. 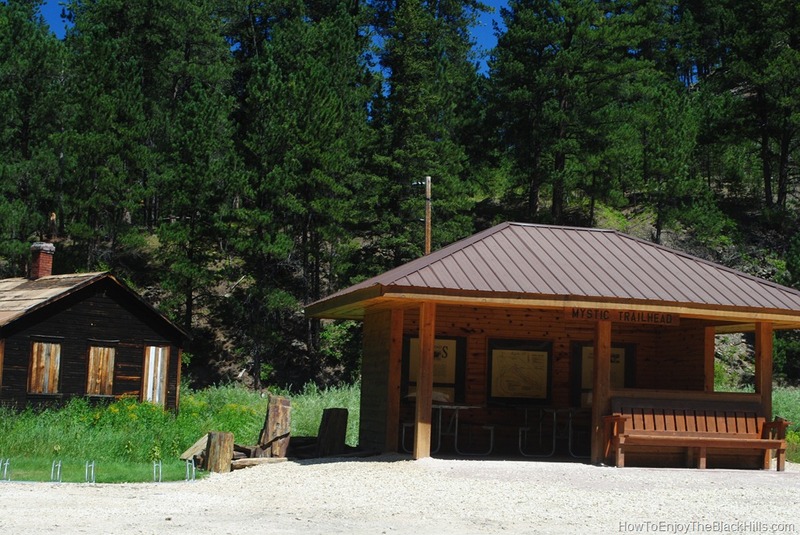 The Assay office can be seen behind the trailhead shelter in the photo above. Eight miles to the North on the trail will be the Rochford Trailhead and 15 miles to the South will be the Hill City Tracy Park Trailhead. Like other trailheads, fresh water is available during the summer season. There is also a vault toilet. If you travel to Hill City I recommend checking out the South Dakota Railroad museum and you should consider enjoying a meal at Alpine Inn. About the author: Josh loves to take pictures and share them on his South Dakota and the Black Hills blogs. Plus he enjoys traveling with his family any chance he gets. Welcome to my Black Hills Blog! Contact me with questions or ideas. Or, share your love of the hills by guest blogging.